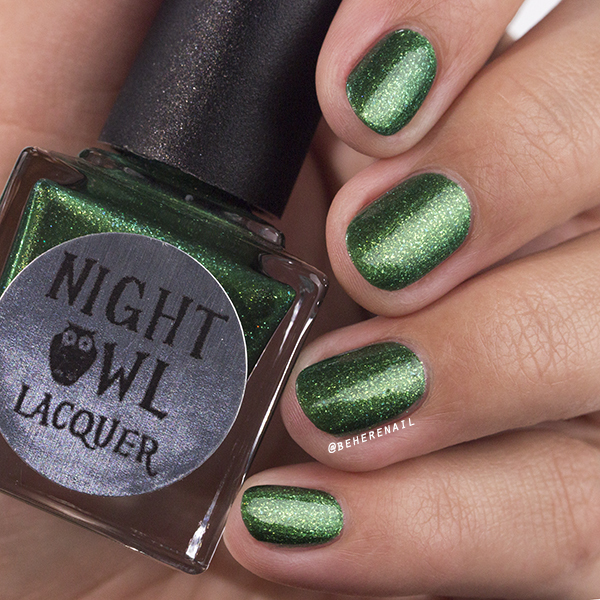 I have another incredible Night Owl Lacquer collection from Lindsay to share with you this evening! These are launching a bit later tonight so check below for important details, including a little something about a discount code. 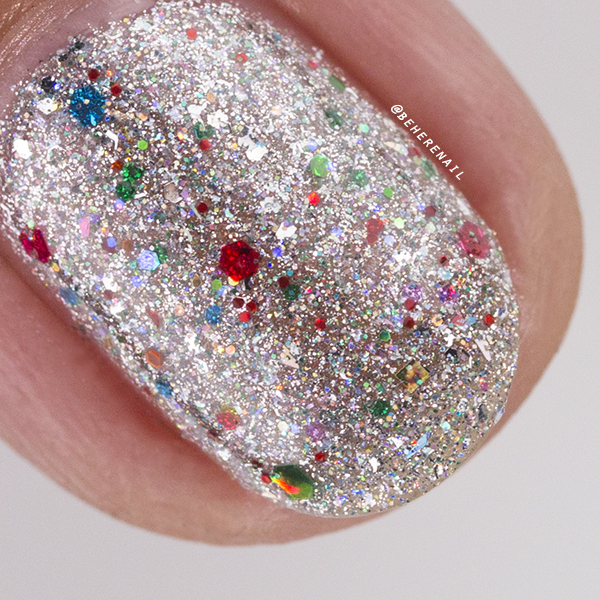 We should get to these polishes though because after you've scrolled through all this gorgeousness I think you'll be pretty anxious to find out! 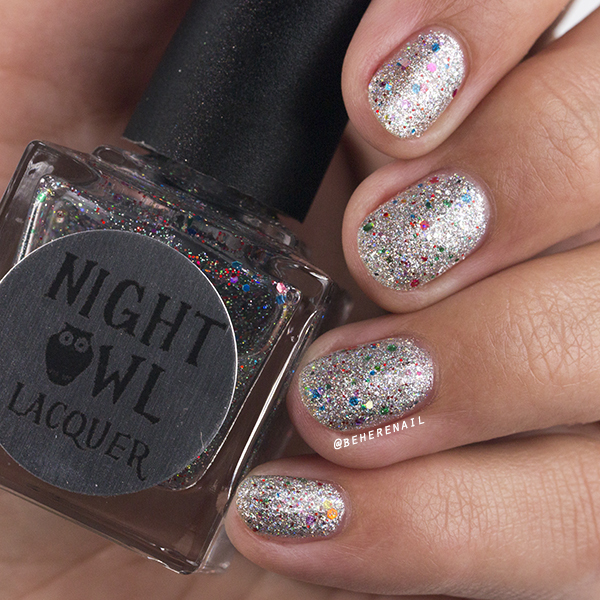 I've been swatching for Lindsay since Night Owl's first release and I continue to be impressed by her interesting mixes and consistent formula. 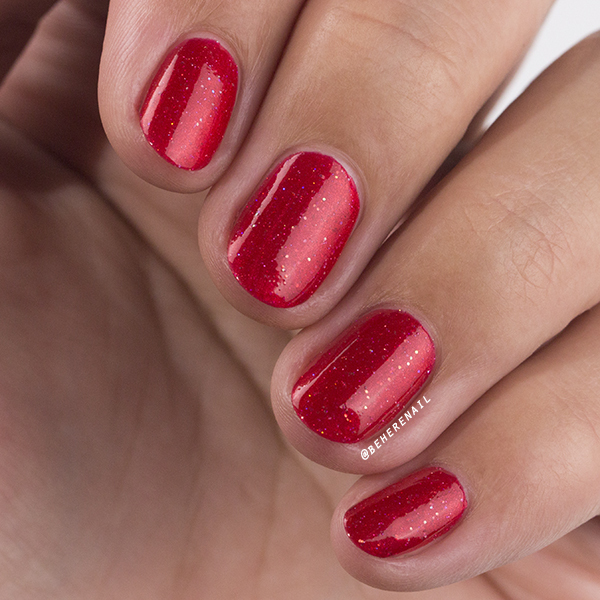 Every shade is good to go in a perfect two coats and application has always been a joy. Not surprisingly, these have been more of the same so I won't bore you with a summary after each swatch. 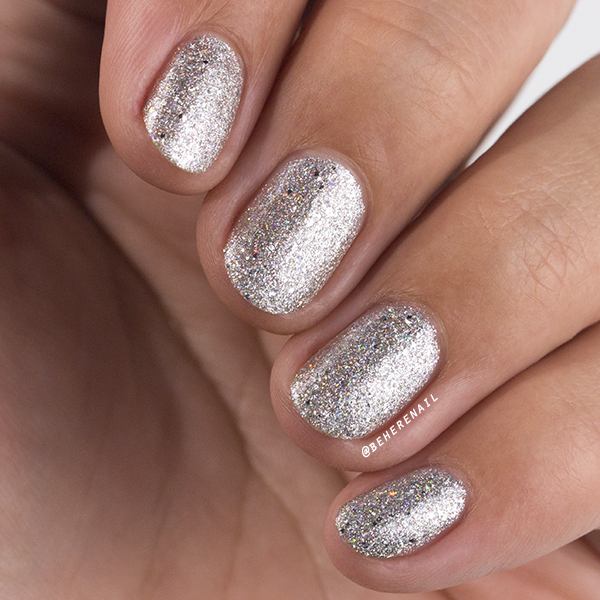 Bling It New Year reminds me of tinsel and is one of the sparkliest and most reflective silver polishes in my collection! 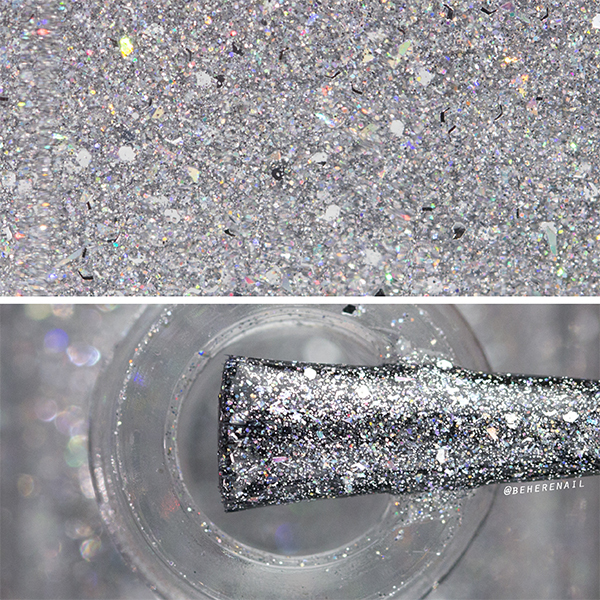 It's packed with a unique mix of silver holographic glitters and shreds, and white micro flakes. It's shown here with three coats, but as you can see in the next set of pictures two is all you need! 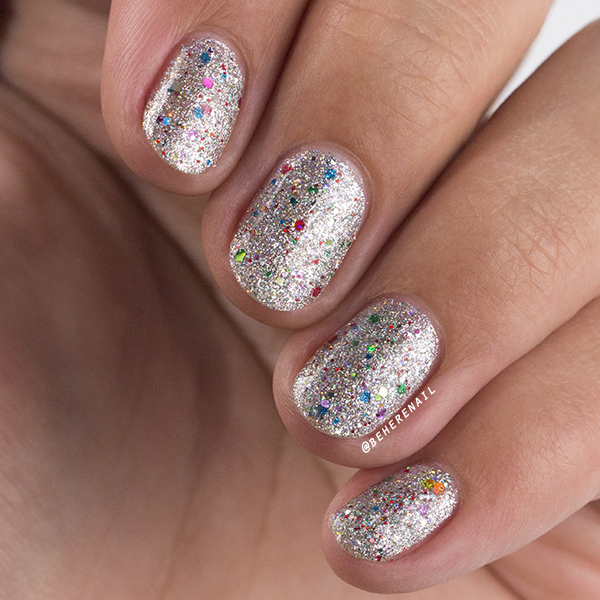 Whether it makes you think of tinsel or disco balls, you'll love how different this one is! 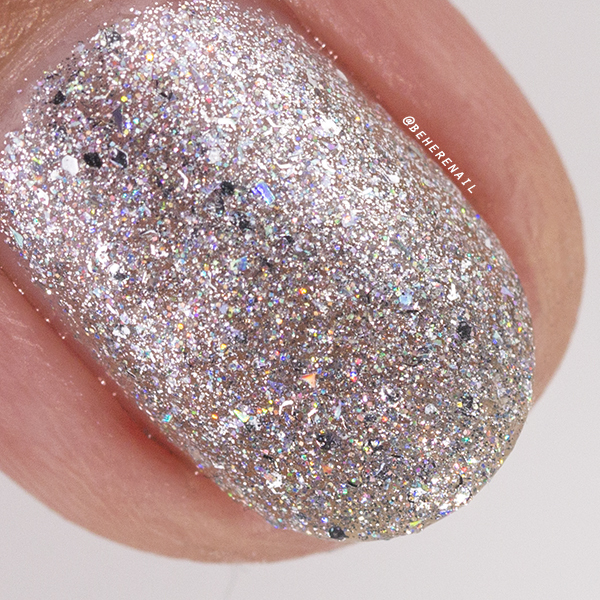 Twinkling Lights is my favorite polish in the Holiday Collection, hands down; and possibly my favorite glitter topper of all time! 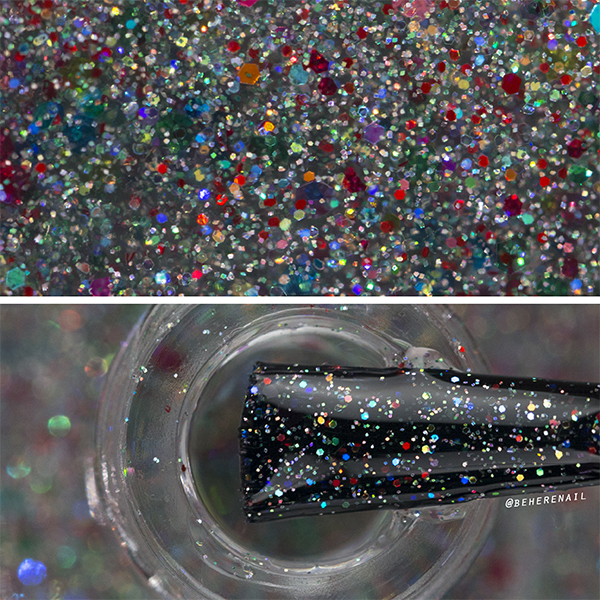 A super complex and colorful mix of silver, red and green holo micro glitters, holographic rainbow glitter and crystal rainbow glitter, and rainbow iridescent micro glitter. Woah, that's a mouthful, but who cares? Look at it! Admittedly I lost my mind and put this over literally everything, so... enjoy the extra photos! Here I have one coat over two of Bling It New Year. Lindsay says this one was inspired by one of her favorite Christmastime activities, driving around looking at everyone's lights! This brings back so many fond memories for me of doing the same with my fam over the years! Not only that, Twinkling lights... Stranger Things! 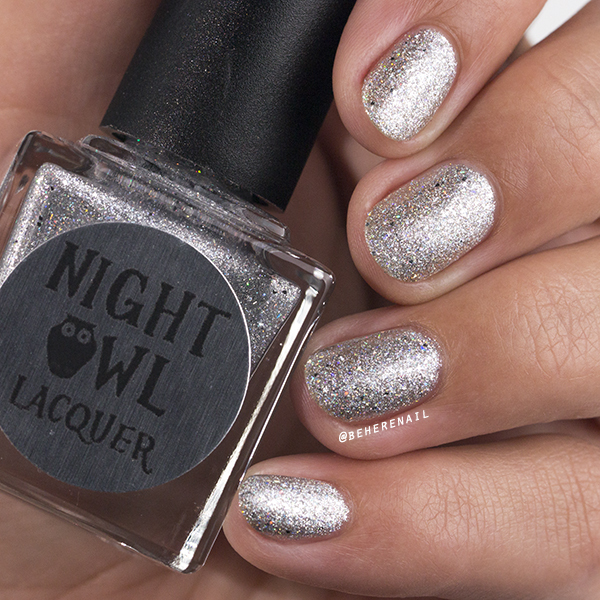 There will be a mani later! 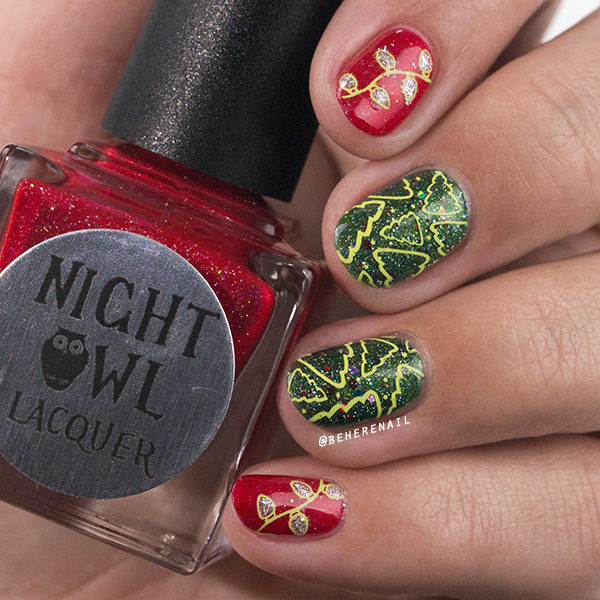 Meet Me Under The Mistletoe is Christmas in a bottle! 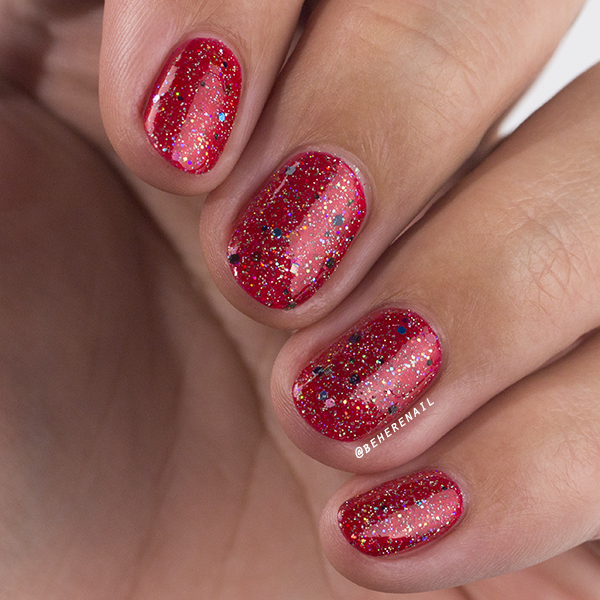 This candy apple red shimmer is loaded with red holographic micro glitter and green/gold iridescent glitter. 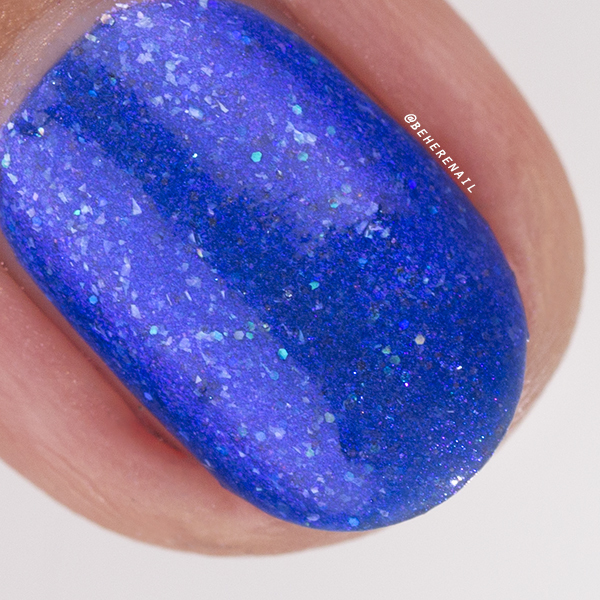 Another unique and complex mix that is just so glowy! 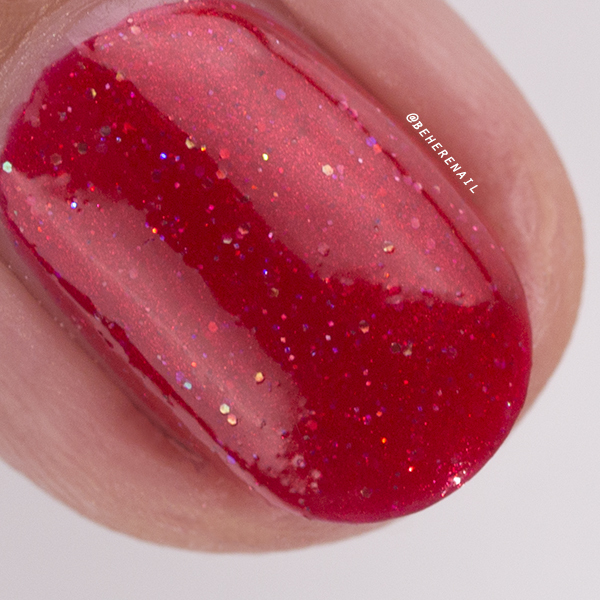 Sugarplum Dreams is a magical blurple shade that I think will be a favorite for many of you. 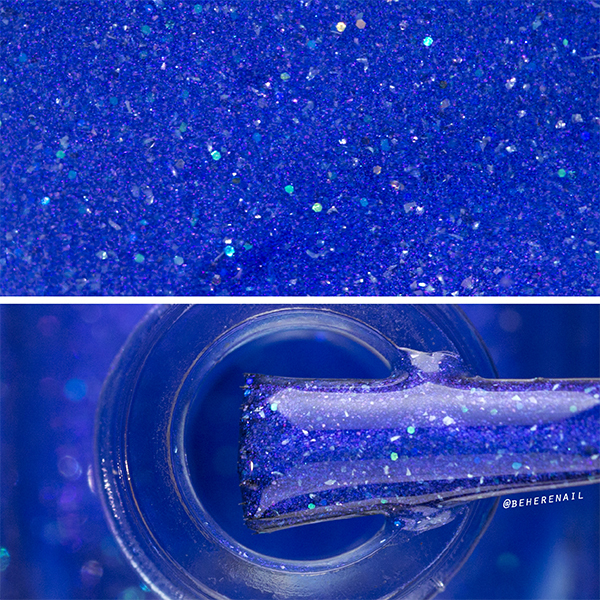 It's got a ton of bright glowy violet shimmer, iridescent micro glitter and white micro flakes. 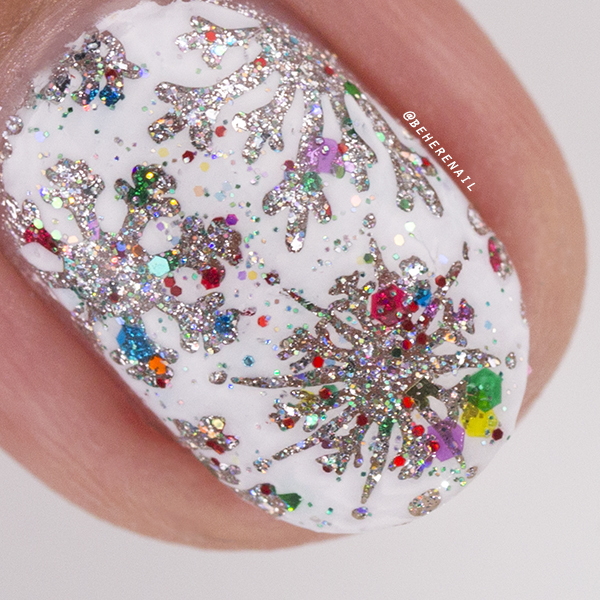 Just check out the macro of this one, I mean... woah. 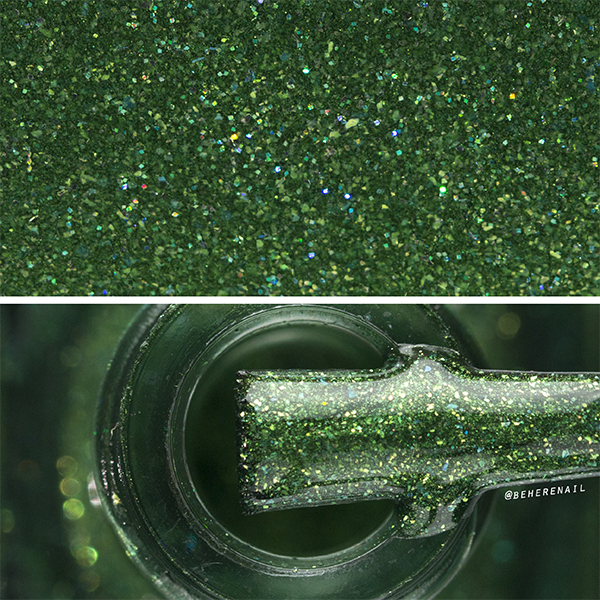 And of course another fantastic green from Lindsay, My Love For You Is Evergreen, a shimmery green polish with gold color shifting flecks, green micro flake and green holo micro glitter. 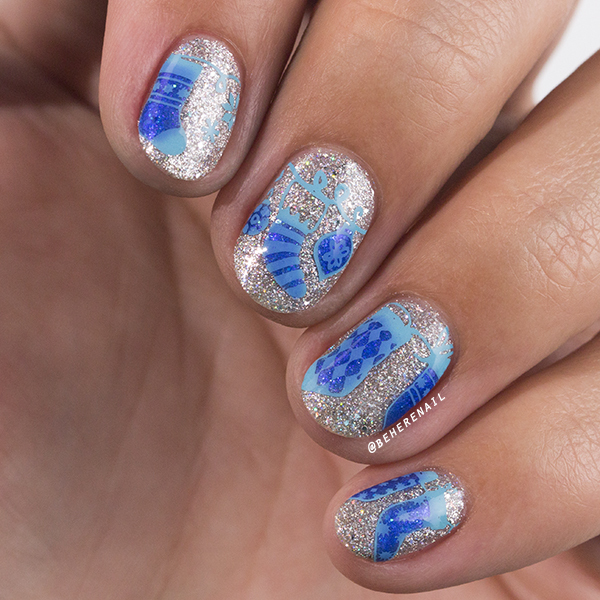 The flashes of aqua in this shade are totally mesmerizing and definitely give it a lot of character! I added Twinkling Lights and it looked just like a Christmas tree! 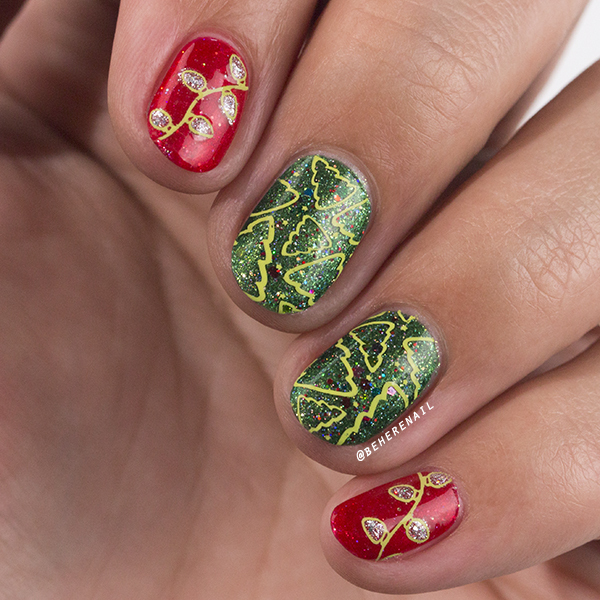 For the first look using this collection I used ÜberChic Beauty Christmas 01 and Mundo de Uñas Lime to do a kind of funky vintage Christmas skittlette paying homage to my new favorite polish, Twinkling Lights! I used Bling It New Year, Meet Me Under The Mistletoe and of course My Love For You Is Evergreen here as well. I thought I would go opposite traditional Christmas shades for this one and get a bit icy cold with Bling It New Year and Sugarplum Dreams! I stamped these cute little stocking and ornaments from BundleMonster in Mundo de Uñas Sky Blue. 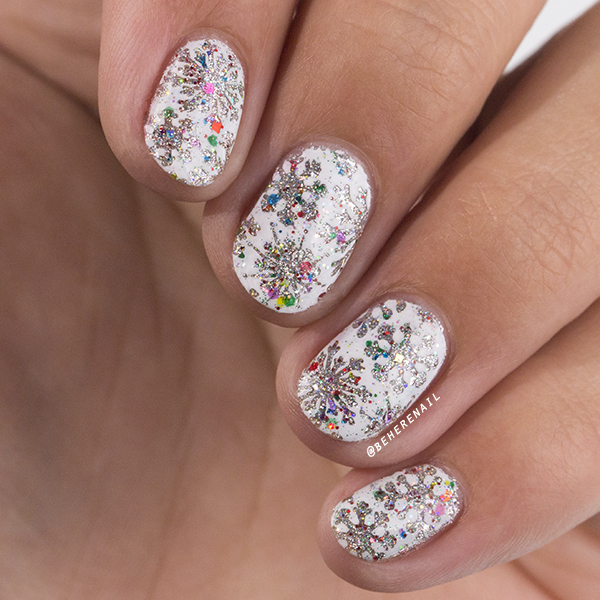 I'm a best for last kind of girl and I could have worn this here mani for ages. 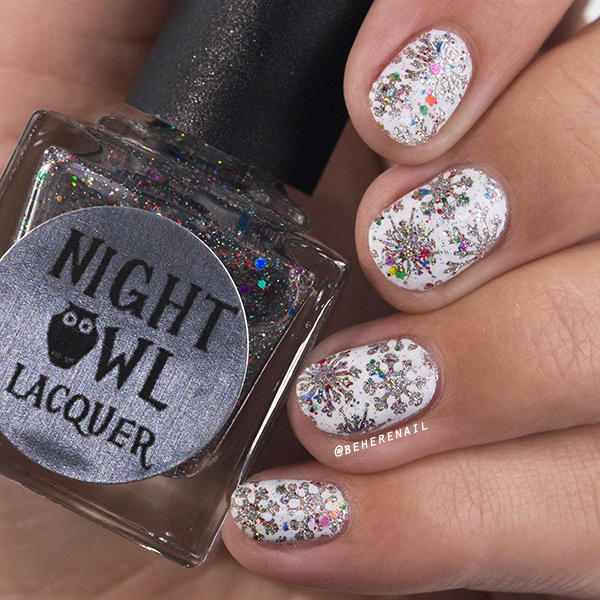 Yet another reason I love Twinkling Lights is how gorgeous it looks over white polish with those crystal glitters. Oh my gah... I could just gaze into the kaleidoscope of color forever. 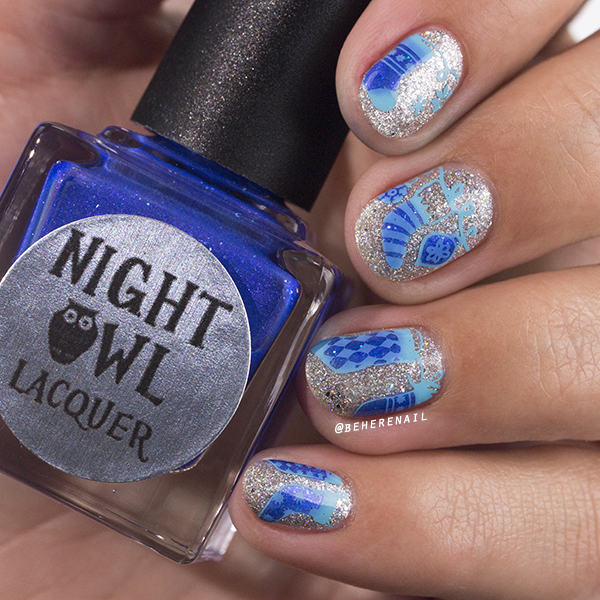 I used my favorite negative space snowflake stamp with Mundo de Uñas White for this simple mani. 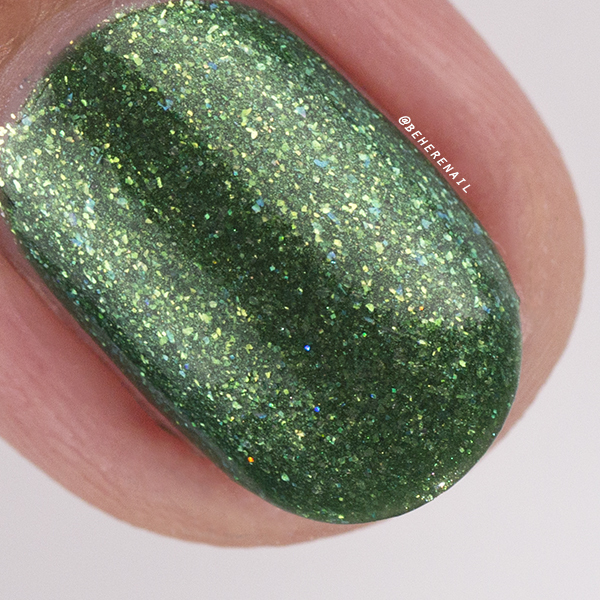 That was a ton of photos, I know, but I really wanted to share with you guys how cool these polishes are! 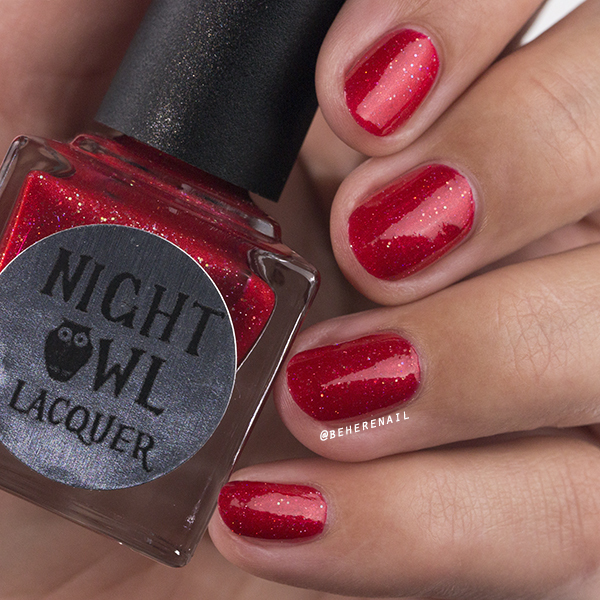 Now, the important details; they launch tonight at 10pm MST on nightowllacquer.com. 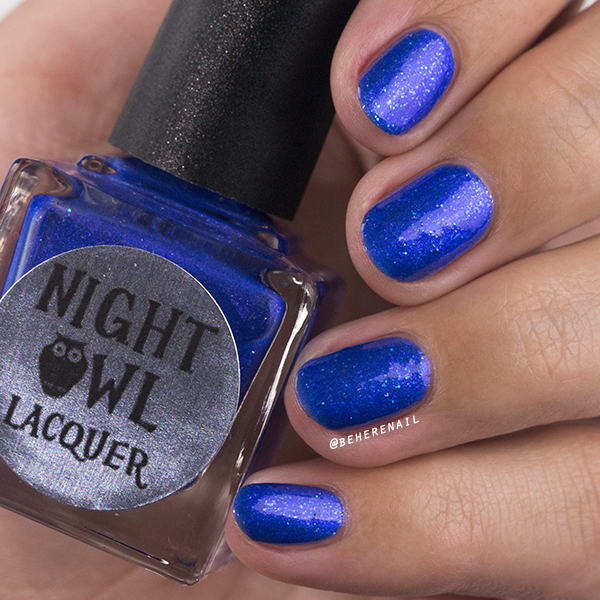 There is a discount code available for members of the fan group Night Owls Just Wanna Get Lacquered Up! Follow the link and join, not just to save cash but to keep an eye on this new brand. Great things are happening! Let me know your favorites and any thoughts you have in the comments! Love you guys, see you soon. Another hit!! The photography was amazing with this set and I love what you did with them!!! In love with Twinkling Lights! Beautiful swatches and art!